Choosing the perfect limousine for your special day is actually not that important to be honest. There are more important things to worry about on your wedding but choosing a limousine isn’t really a priority. However, if you really want to make your day extra special, you should definitely think about getting a limousine that captures your feelings. Although you can do away with a simple limousine service, having that perfect car on your special day is worth the effort. You should make your reservation after you’ve settled on your wedding date (usually about 6 months before the actual wedding). If you are planning on having your wedding during the wedding peak season, June to September, you should probably make your reservations 3 months earlier than usual. You can still reserve a limousine using the 6 month rule but during wedding peak season, your selection will be limited if you make your reservation a bit late. The usual wedding car of choice is the white stretch limo. This is the go-to choice for a traditional glam wedding. If you are not feeling that white stretch limo appeal, you can opt for the classy choice and go with that Rolls-Royce car. Whatever your choice is, you can’t go wrong as long as you are comfortable and happy with your choice. 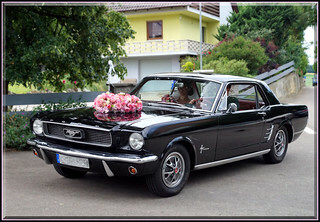 To make sure that everything is perfect on the wedding date, check the car prior to the actual wedding day. Check the interior if it really looks as advertised. Check the exterior for any damage or blemish that is noticeable. Make sure to get your money’s worth by ensuring the quality of your ride. Understand the terms and regulations of the contract before signing anything. For instance, some companies won’t allow decorations on their vehicle especially if it is a vintage car. Some companies won’t even allow taking a photo inside of the vehicle. Overall, make sure that you know all their rules before signing anything. Limousines have good audio and video system on the interior. Make sure to check whether you can play your own music inside the vehicle. If you can, check their electronic system to make sure that you can use it if you wish to. If you really want to ensure that your wedding limo is of top quality, you don’t need to limit yourself with these 5 tips. Just like shopping for items, you just need to use your common sense to ensure the quality of the item – in this case, to ensure the quality of what you’re renting.